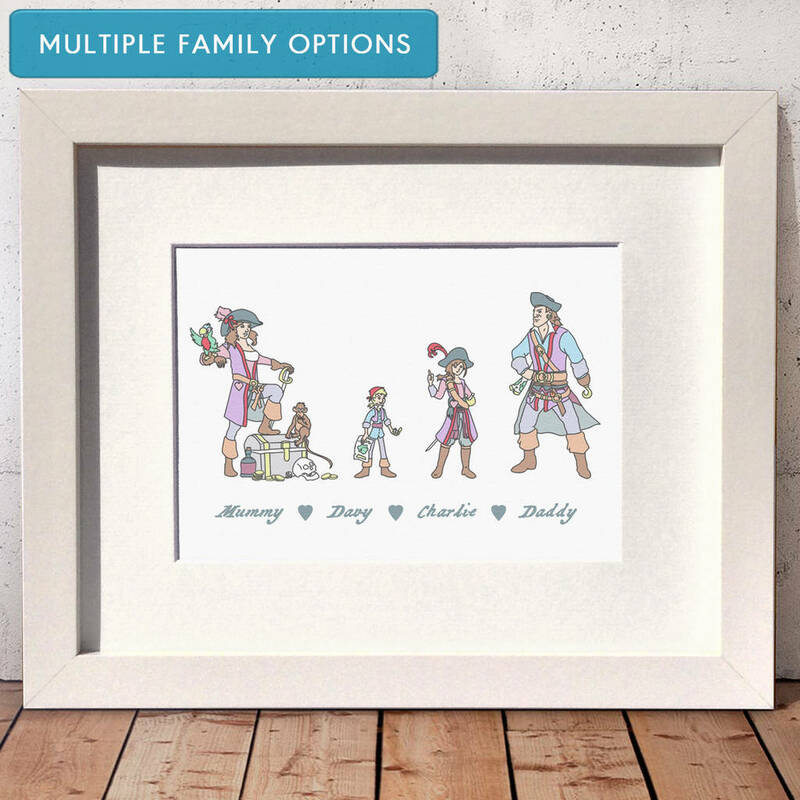 A personalised Pirate Family print, perfect to represent any family of bucaneering adventurers, keen travellers or sailers this Christmas. 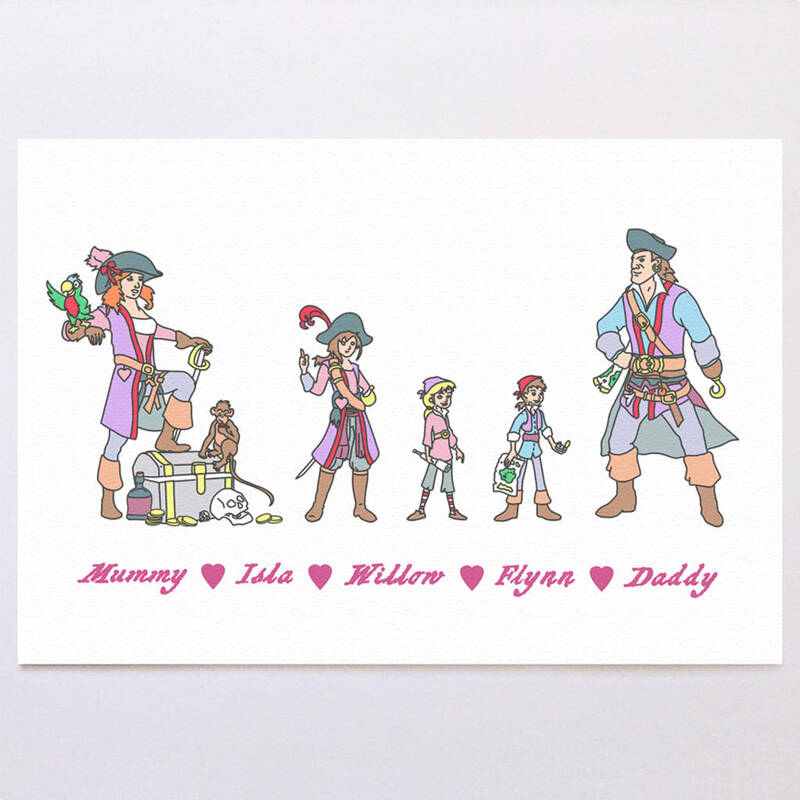 This personalisable family print lets you choose from a cast of swashbuckling (but cute) pirates to represent different members of your family. We use a pirate font for your names, as shown in the images. A little heart seperates each name. The text colour in the main image is Petrol blue. This print is a fun addition to have in your home, maybe displayed above a childs bed, or in the ships galley! 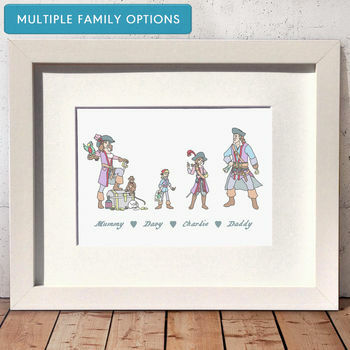 The pirates will be the same colours as they appear in the key images: you can select the characters that they best represent your family from the options available - left to right across the print using the selection boxes displayed with this listing. 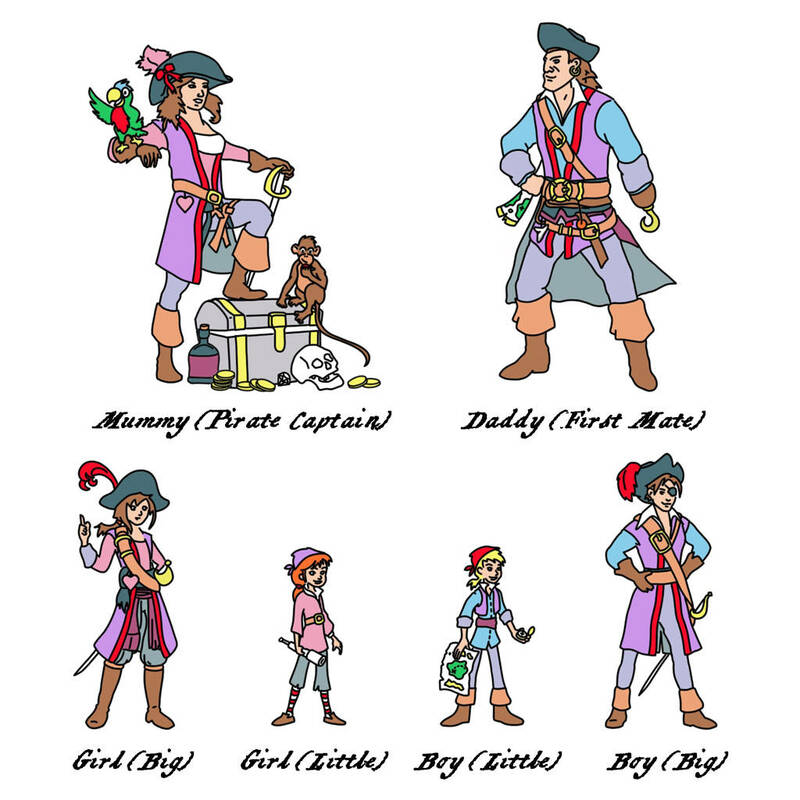 All the pirates have Brown hair, but if you would like to choose the haircolour for each of your family members (from Brown, Orange or Yellow) just message us when placing your order. 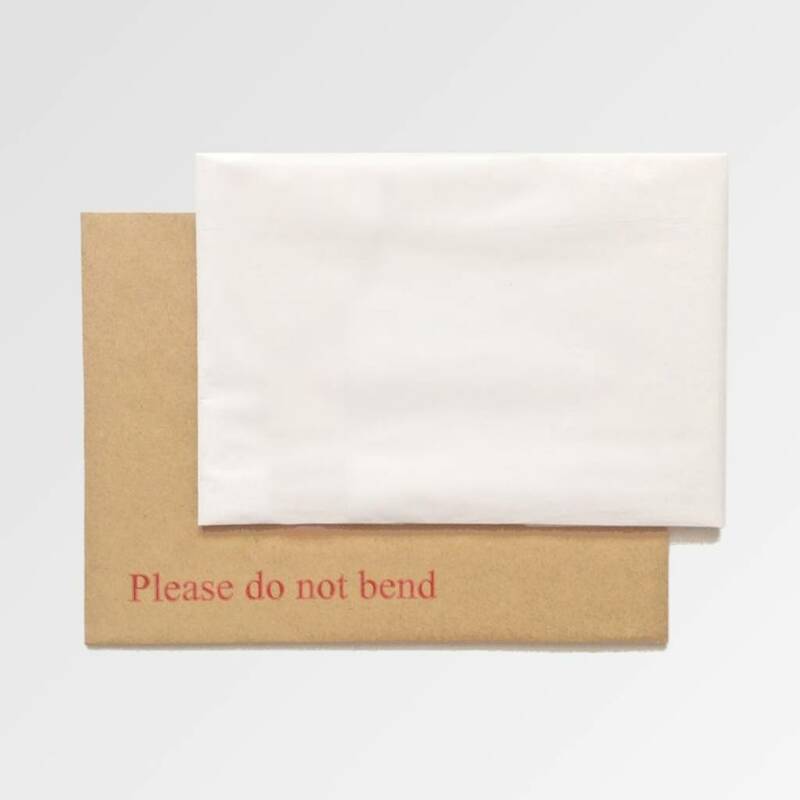 All CLEAN prints are carefully wrapped in tissue paper and posted securely in a hard-backed envelope. 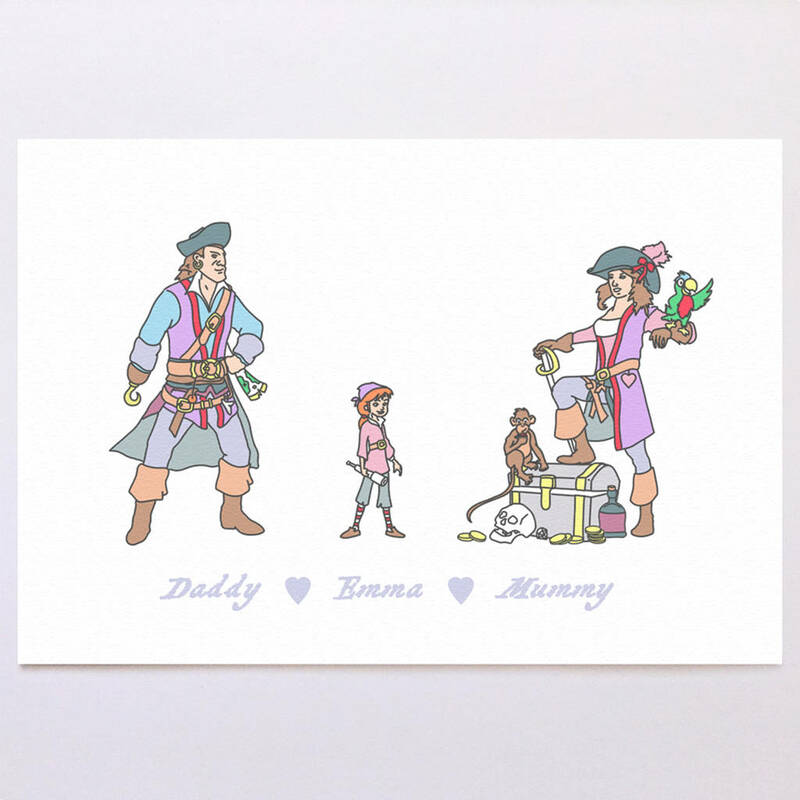 Your Personalised pirate design printed onto high quality, 350gsm textured white card with a matt finish. We make many other family prints, including those for penguin, bear, shoe and music lovers, just see our other listings.